WASHINGTON, D.C. — Consumers Union, the advocacy arm of Consumer Reports, today endorsed legislation introduced in Congress by U.S. Sen. Tom Harkin (IA) and U.S. Rep. Jan Schakowsky (IL) to make it simpler for consumers to close a bank account and move to another institution. The Freedom and Mobility in Consumer Banking Act aims to provide consumers with the ability to easily move their money without getting hit by unfair fees and other obstacles. Consumers Union said the bill would improve competition and consumer choice. 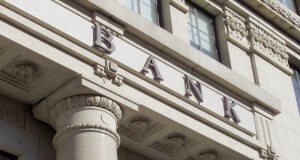 A 2012 report by Consumers Union, “Trapped at the Bank,” highlighted the problems that consumers often face if they decide to switch banks. Some banks lock in customers by encouraging them to use services like automatic payments and direct deposits in order to avoid monthly fees. Moving these payments and deposits to a new account can take several weeks, the process can be complicated and confusing, and the entire transition to a new institution can drag on for months. · Require banks to provide a list of all the automated transactions, such as direct deposit and bill payments, that go in and out of a consumer’s existing account to help consumers reroute those transactions to a new account. For more information from Consumers Union about bank switching and the challenges that consumers face, visitDefendYourDollars.org.